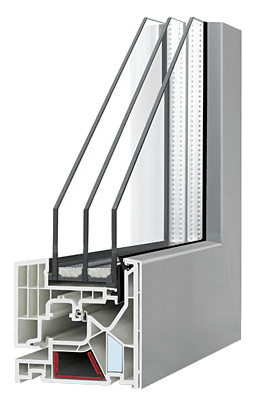 While a little more expensive than double glazed windows, the triple glass windows, offer maximum insulating efficiency and have a long life span. Mostly used in new buildings to maintain a high level of insulation and save on energy bills. We fit and supply high quality made-to-measure ‘A’ rated uPVC Triple Glazed Windows in the greater Dublin area. We also advise you on whether the triple glazing is the right choice for your property.